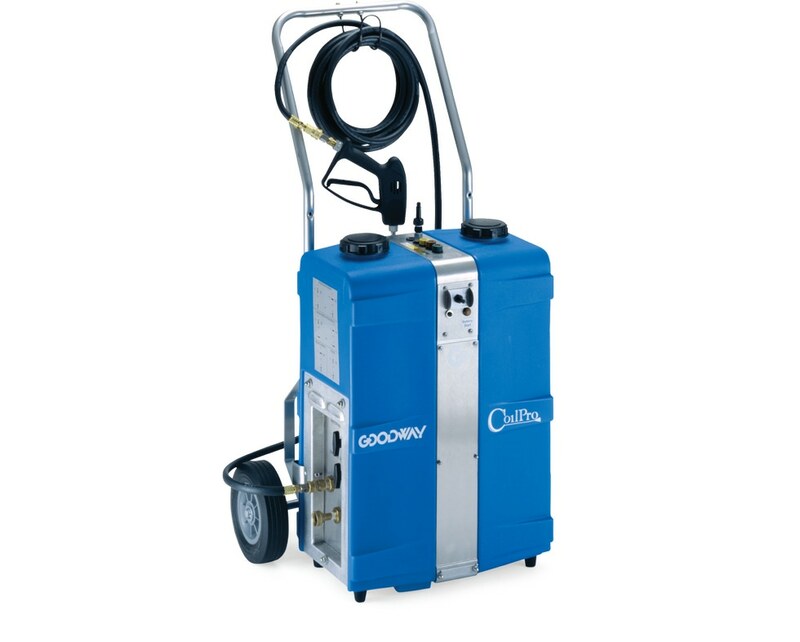 Goodway's patented CC-140 CoilPro Battery Powered Coil Cleaner is the solution for your evaporator coil and condenser coil cleaning applications. Spray bottles and pump sprayers are simply not effective in penetrating most coil beds. In addition, many coil cleaner chemicals can actually damage the coils or create noxious fumes. This unique coil cleaning system is most efficient when used with our non-fuming CoilShine, environmentally friendly expanding foam detergent. The patented CC-140 is designed to be flexible. The unit can be used for just about any coil cleaning application. It can operate on AC power, or on its integrated rechargeable battery. In addition, the unit can connect to a 3/4" water line for continuous operation, or can draw from either of its own 5 gallon tanks. 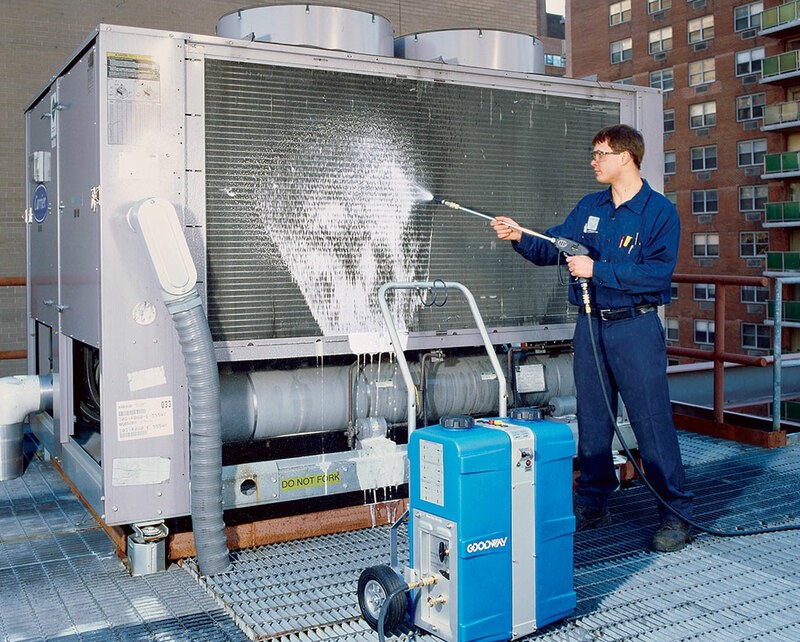 The operator simply applies a thick layer of CoilShine, Goodway's expanding foam detergent, using the custom foaming nozzle. Then, with the flick of a switch, the CoilPro is ready to drive the CoilShine right through the dirty coils with one of its low pressure fan nozzles, allowing the debris to quickly wash down the condensate drain. The precisely designed CoilPro provides just enough pressure and flow to get the job done, without damaging the delicate fins or overwhelming the drain pan. A CoilPro CC-140 , 25' hose, spray gun with 18" wand, 4 nozzles (foaming, two flat spray, pinpoint) and 1 gallon of CoilShine.